Municipal and locally-led ownership can improve service provision and guarantee that economic prosperity is not concentrated in certain regions of the country. 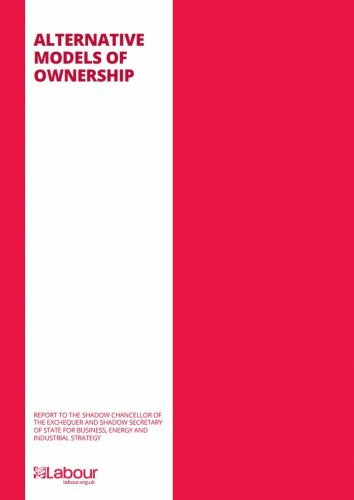 A variety of policies, including place-based budgets,increased powers being handed to local authorities, and the relocation of various major institutions outside of London can foster this type of ownership. To turn the proposals of this report into practical and popular policy will necessitate, amongst other things: the examination of sectors of the economy which may require national government intervention; the drawing up of a list of policies to develop and to have an open consultation with stakeholders on the biggest proposals; the establishment of a network of activists/experts to discuss governance issues in collectively/publicly owned organisations; and the preparation of a policy document for publication ahead of the September Party conference.